Hanga Roa is the one and only town in Easter Island. It’s not a big city but, due to the influx of tourism, the ratio of citizens-restaurants is quite high. 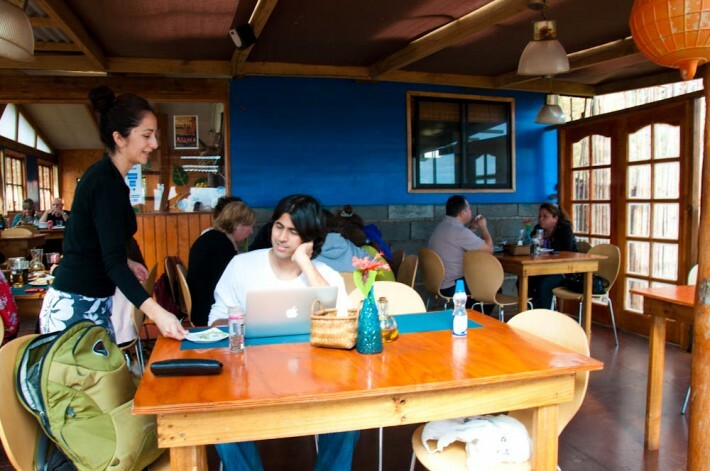 3 things make Miro a great place to stop for a meal: yummy food, amazing views and WIFI! 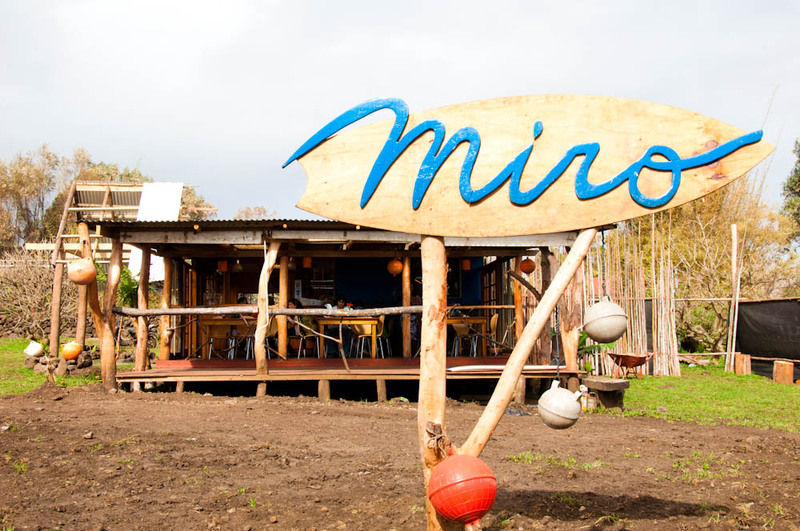 I know WIFI might sound weird when compared to the other reasons, but a decent internet connection is something not to take for granted in Easter Island and Miro gives you the chance to check your emails and see what’s going on in the world beyond the Island. 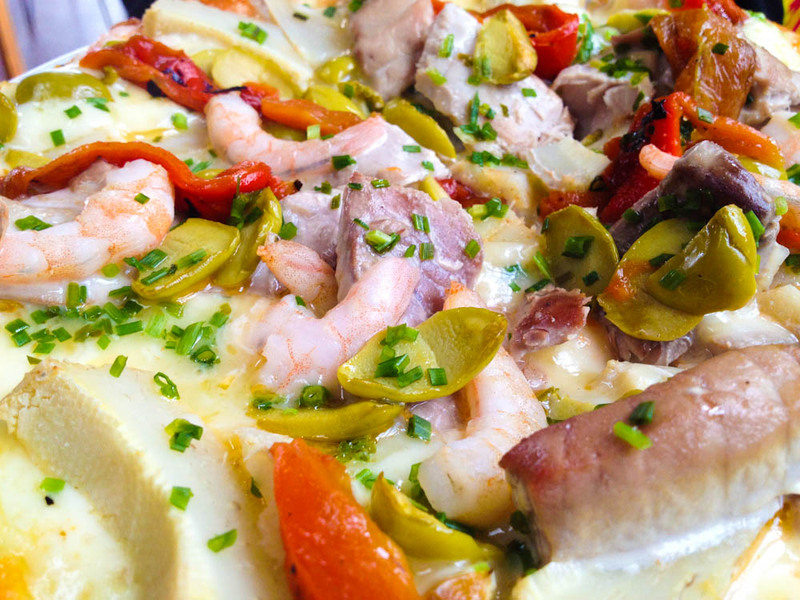 The menu is vast enough to cater to different tastes, but some items do stand out: incredibly tasty pizzas topped with real tuna steak (staple food in the island), sandwiches that could easily feed 2 people with moderate appetite, sweet crepes made fresh to order and fresh fruit juices. Down-to-earth good food, decent prices (for local standards) and service with a smile. In 8 days, we visited this place 4 times – enough said! Small one costs $7500 Chilean Pesos but easily feeds 2 pax. The first night we visited Makuna, a little boy about 10 years old with a tall Chef’s hat served us a generous appetizer of bread, butter with herbs and pebre (Chilean sauce made with tomato, coriander and chilly). Then the “real waitress” presented us with different local white fish dishes that won this restaurant a spot on this article. 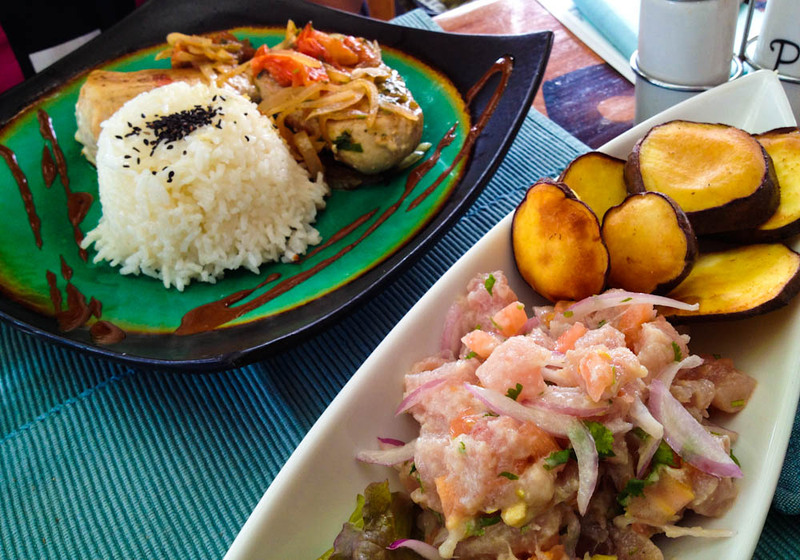 Their tuna ceviche (raw fish marinated in lemon juice and herbs) is as tasty as the Island gets you used to – I ate this dish so many times and it was always exceptional as the fish is incredibly fresh and there is no better seasoning than the freshness of nature! What makes Makuna’s ceviche go beyond good is that it’s served with warm thick round sweet potato chips that could put regular fries to shame any day. White fish swimming in an exotic sauce made with coconut milk, pineapple and mango is also very worth a taste. This sauce resembles a very mild curry and is poured over the grilled fish fillet, with a lovely side of steamed rice and black sesame seeds. 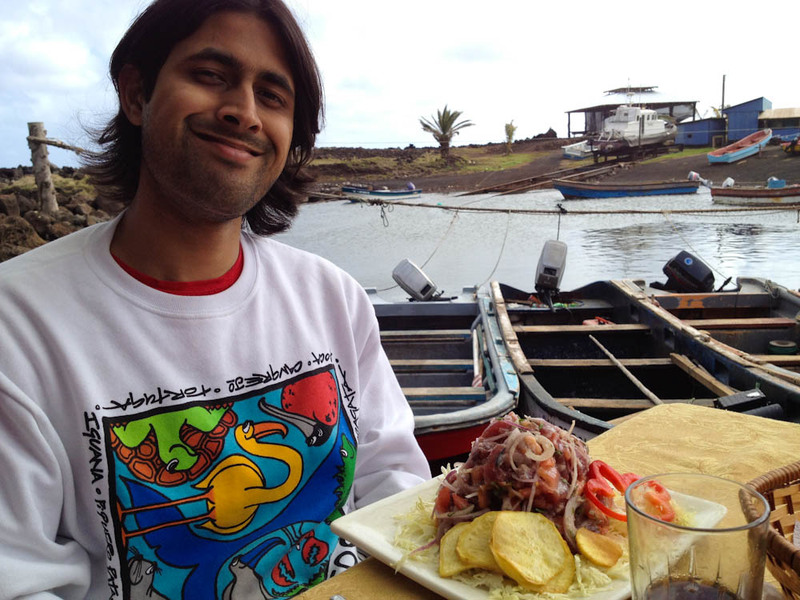 Our very first meal in Easter Island was one of the most memorable too. There is a special feeling associated with eating fresh fish sitting next to fishermen sipping a beer and talking loudly in Rapa Nui language at the end of their fishing hours. If you come here, do not expect a menu. Whatever has been fished that day, will be served to you, mostly in the shape of grilled fish or ceviche. Rustic, unpretentious and fresh. Also, very good value for money considering the portions served. 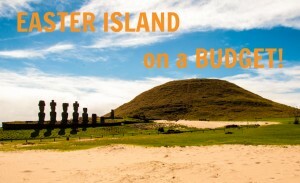 Here is another simple option for great food on a budget – and please note that USD17 for a warm dish could only ever be considered budget in Easter Island, but in this case it really is! There are a few “shacks” by the port, to the right side of the Municipal Sports Pavilion, serving sandwiches, empanadas (fried dough pockets with filling of cheese, meet, cheese and/or vegetables) and a few full dishes that include the typical grilled fish, fish skewers and rice. Main dishes come with a banana, which is a nice little touch for desert! 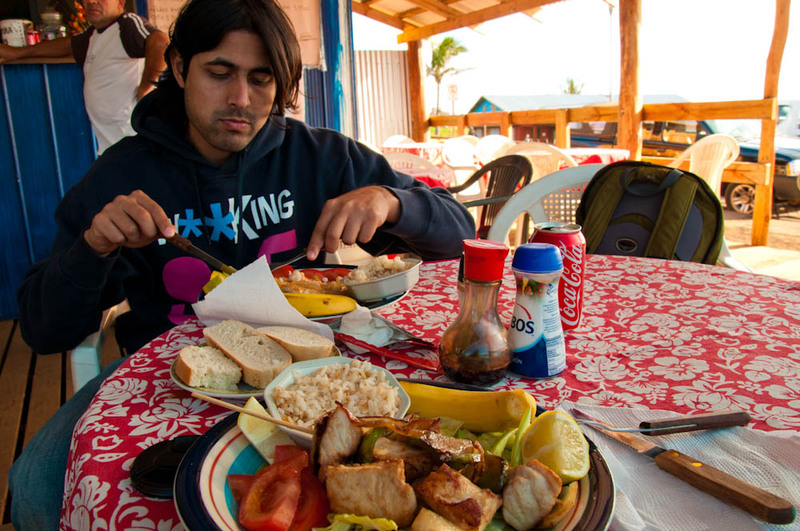 Delicious tuna skewer – and someone who is too hungry to pose fot the photo! These are not fancy places and you have to get your own plate from the Lady standing behind the counter but the view is as “fancy” as it gets: several Moai statues standing with the blue ocean as backdrop. And that’s what you come to Easter Island for, isn’t it? 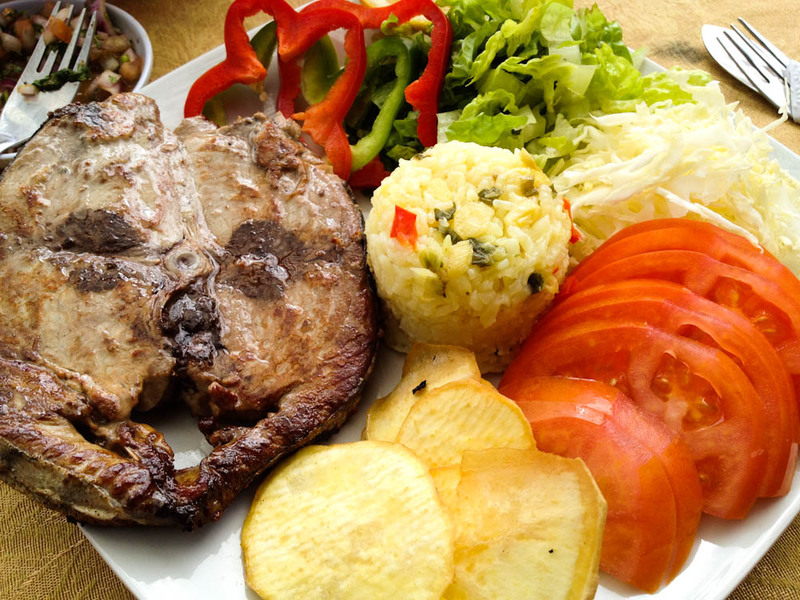 These are some options to eat well on a regular budget in Easter Island. It is difficult to find main dishes of fish and rice for less than $8000 (USD17) but the above are definitely very good options. In the drinks department, be prepared to pay at least $1500 (USD3) for soft drinks and water, between $1500 and $2500 (USD3-5) for coffee with milk, $2500 – $3000 (USD5-6) for fresh fruit juices (usually very large servings) and $4000 (USD8) for a glass of house wine. Keep in mind that more expensive doesn’t necessary mean better food and that’s why many times, when you go to eat in places that are not in the main roads or more touristic areas, you can come across places that haven’t spent much money in decoration but have high standards when it comes to the food they serve. In Easter Island, be prepared to eat a lot fresh tuna – and please don’t do what an American tourist I was observing did and order a tuna sandwich “but with canned tuna, please”. Not only you should give fresh tuna a chance, they also won’t have the canned one to serve you. If you don’t like fish, regular menus include beef and chicken (not many vegetarian options), but you are going to miss out on most of the traditional foods by skipping the seafood. 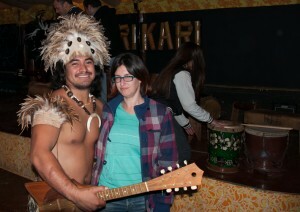 Overall, my food memories from Easter Island are above average. So, add to the historical richness of this place and the beautiful landscapes a memorable gastronomy, and you got yourself a perfect place to spend some quality time at! If there is any other restaurant you would recommend, share it with everyone in the comments! Oh man, I haven’t eaten ceviche, and I so want to try! Really want to try to make it to the Easter Islands one day.. and if I’m there you can bet I will try to look this one up! Lovely post guys. This one deserves a retweet. 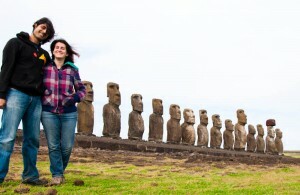 Hope you do make it to Easter Island one day… soon! What about Au Bout du Monde? And Tataku Vave? You miss the best if you miss those. Oh, I didn’t have a chance to try those!